Dr. Silani has been one of the most professional and knowledgeable eye doctors I’ve ever trusted my eyes to. I feel I learned more about the state of my vision during this recent appointment than I’ve learned during all of eye appointments combined. But I also enjoyed my visit and the whole staff made me so welcome. 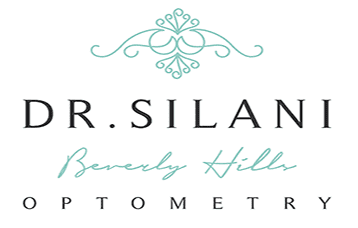 Highly recommend Dr. Silani and Beverly Hills Optometry! Dr. Silani and his entire team are amazing! I moved to LA in 2011 and would still see my optometrist in Atlanta because I had a couple bad experiences with optometrists in LA. Thank goodness I found Dr. Silani! 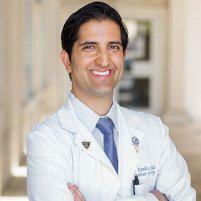 He was very thorough, friendly, knowledgeable and just an overall great doc. His office has the latest tech and their operation is super efficient. I will without hesitation recommend Dr. Silani to all my friends! Dr. Silani has been wonderful. He spends the time to figure out what the issue is and treats you with the utmost respect. Not only is the staff friendly and approachable, but Dr. Silani took the extra time to really make sure I was satisfied with my visit. I always feel taken care of when I go in for a check-up. high tech office and dr kambiz takes the time to explain everything that is going on and is helpful to answer any questions you have. love this office ! Dr Silani and staff were friendly and professional. I felt that they genuinely cared about my vision and health, and that they are committed to providing excellent services. Amazing people!! I walked in and was instantly greeted with warm smiles. They were all well informed and provided me with great information when I asked (too many) questions. Dr. Silani is a sweetheart and such a caring optometrist, I could hang out in that office all day. Wonderful experience, great clinic! Great location and flexible hours. Thank you Dr.Silani and staff. Had a great office visit. Dr Silani takes his time to discuss your needs. He is very knowledgeable & professional. I trust him with my eyes. My first visit with Dr. Silani and his office was excellent. He is thorough and detailed in his approach. I learned a lot about my vision that I didn’t know about before. In addition, he helped me navigate my insurance benefits to get the best coverage. I’ve been wearing both contacts + glasses since middle school and I wish I had received his level of quality vision care for the past 20 years. I look forward to following up and establishing care here. Dr. Silani was attentive to my needs. My appointment was thorough and expedient! Very helpful appointment. Dr Silani was incredibly informative and offered a lot of good advice for general eye care.